I've added Water Temperature and Oil Pressure Gauges below the Radio. 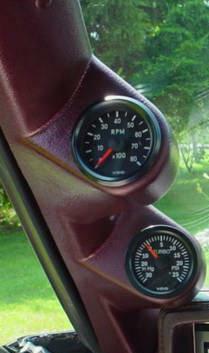 On the A-Piller, I've got a 30"-0-25 psi boost gauge and a 0-8000 tachometer held on by an A-Piller duel gauge holder. It fits over the existing A-Piller. 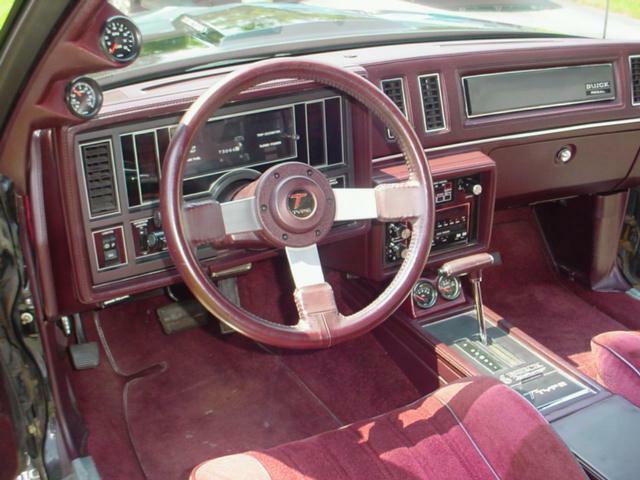 They are both painted in Plasti-kote 7212 GM, which is a super close match to my marron interior. 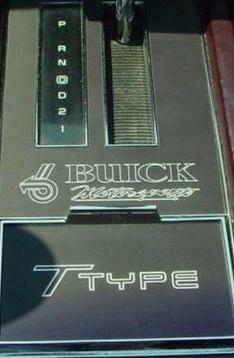 Also added to the interior are a console overlay trim, showing "Buick Motorsports" and "T-Type". On the doors where the pull straps are located, I've added a Turbo 6 overlay to the little squares on each end. My rear quarter windows show a "Buick Motorsports" decals. My carpet savers are getting a little worn looking.